Many of the projects that we do are with the Aerospace Industry. We work in areas with sensitive information and equipment; requiring that the work be done with real care. A thorough Safety Manual and good safety record keeping is most helpful. The entire demolition area needs to be completely sealed off from deck to floor, to avoid disturbing the day to day operations and multimillion dollar equipment. Depending on the source of the funding, these jobs can be Prevailing Wage, with strict adherence to FAR guidelines. Like many other demolition projects, banks require a lot of "off hours" work in the demolition. We have done small bank remodels to completely "gutting" old banks. The most difficult part of gutting a bank is taking out the old vaults. We salvage/recycle any metal, aluminum, copper, or tin that we can. Condo projects are great jobs that we have always really enjoyed working on. They tend to be larger scale and the work is spread out over several months. For occupied condo projects we are mindful of the occupants, taking every precaution to safe off and clean up all work areas on a daily basis. The most challenging work for most multi tenant buildings is not in the actual demolition, but in minimizing the affect of the demolition operations on the neighboring tenants. The key to doing high rise tenant improvements is to run a "clean" demolition job. This includes working off hours or "nights and weekends", protecting common areas, and daily cleaning of any affected areas. Hospital projects are always interesting and challenging jobs to coordinate and excecute. Due to the sensative nature of the work, it requires a surgical and stealth like approach to get the demo done.﻿ Many of these projects are done off hours in multiple phases, and sometimes spands over multiple years. Again, mimimizing the impact of the demolition on the staff and patients is the first concern. In the past couple of years, the work with schools and universities has been steady. This area of the market looks like it will continue to grow. We have been part of small 100K remodels to multimillion dollar remodels. We have worked on homes from Dana Point to Beverly Hills. These jobs vary from complete site clearing, raising a home off of it's foundation and stripping it down to the framing, and single family home additions. A&A Henins, Inc. is committed to running as "green" a demolition operation as possible. When possible, we salvage/recycle the wood so that it can be re-used. 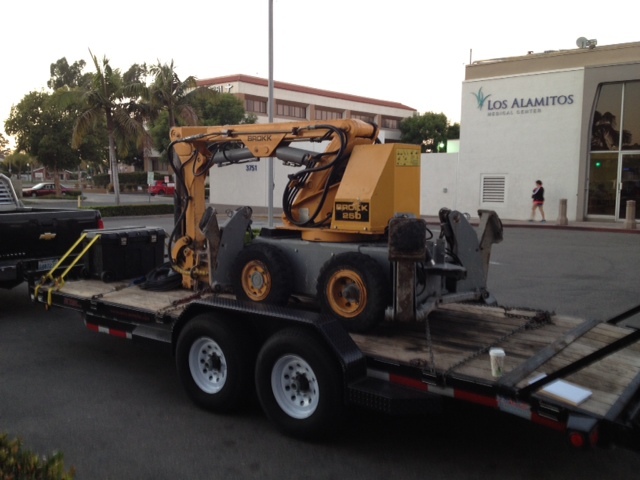 We always salvage/recycle on every project to minimize waste and keep to the city/county standards. Restaurant projects are completed in very short time periods. Coordination and scheduling are very important as General Contractors can face liquidated damages if the project isn't completed on schedule. Like most other demolition projects; restaurants have items that can be recycled or salvaged. 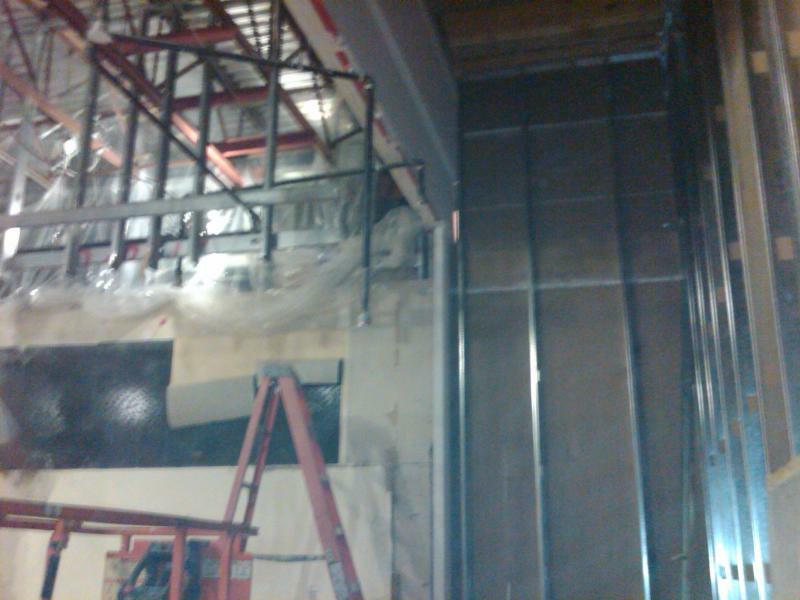 We have worked in most of the malls in Southern California. 60% of our work in this market is consentrated in the West LA area, Bevrly Hills, Rodeo Drive and Orange County. We have worked at a handfull of Flagship stores in Rodeo Drive. Following all the Mall Management rules is key to a smooth demo project. 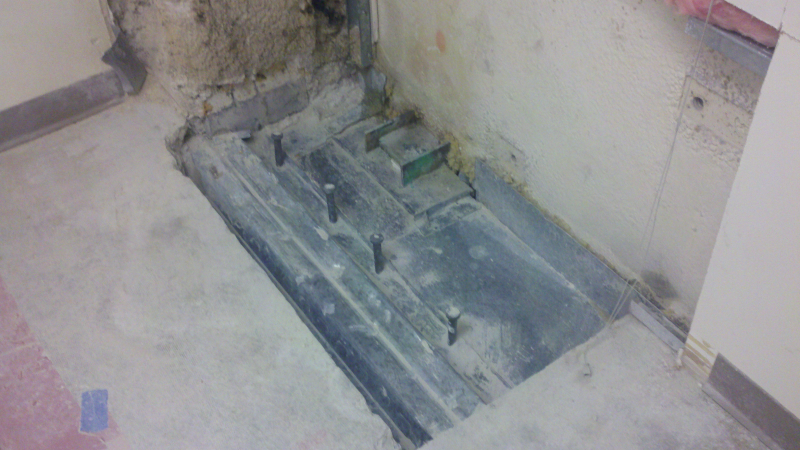 Seismic Retrofit - Demo-sawcut to expose structural column & steel beam. Los Angeles & Beach Areas. We service Los Angeles, Orange, Kern, Ventura, Riverside and San Bernardino Areas.